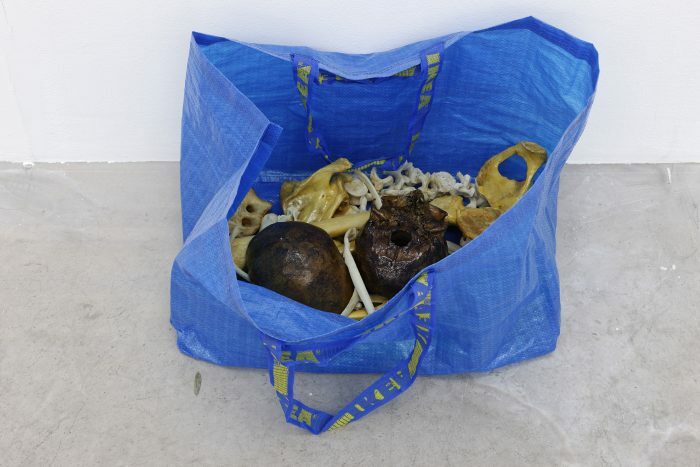 In 2014, a woman found ikea bags filled with human bones in the basement of a Swedish church. Since then, Puppies Puppies has hoped to remake this situation as an artwork. 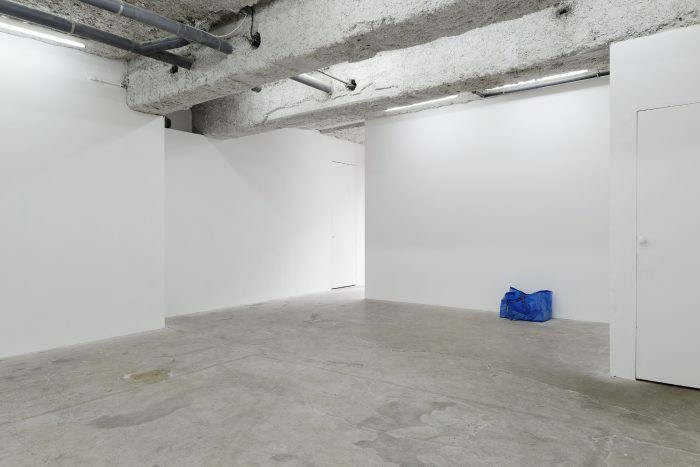 While visiting the studio of Cedric Rivrain and admiring his collection of artifacts related to human anatomy, Puppies Puppies learned that Rivrain possesses a partial human skeleton inherited from his father. 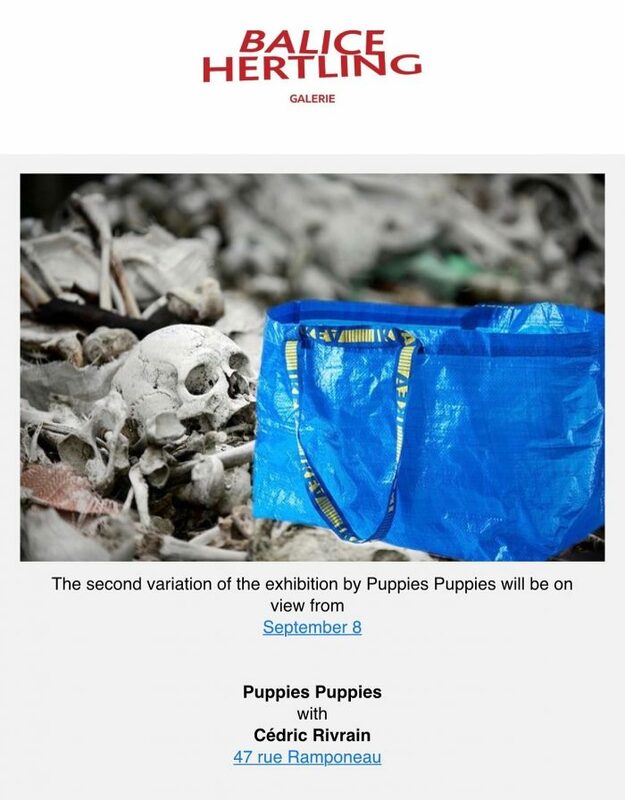 For the second consecutive exhibition at Balice Hertling, Puppies Puppies invited Rivrain to exhibit these remains inside of an ikea bag used in Puppies Puppies’ home for several years. Combinations of blue and yellow indicate this work is part of Puppies Puppies’ Green Works, which relate to love and the artist’s family. 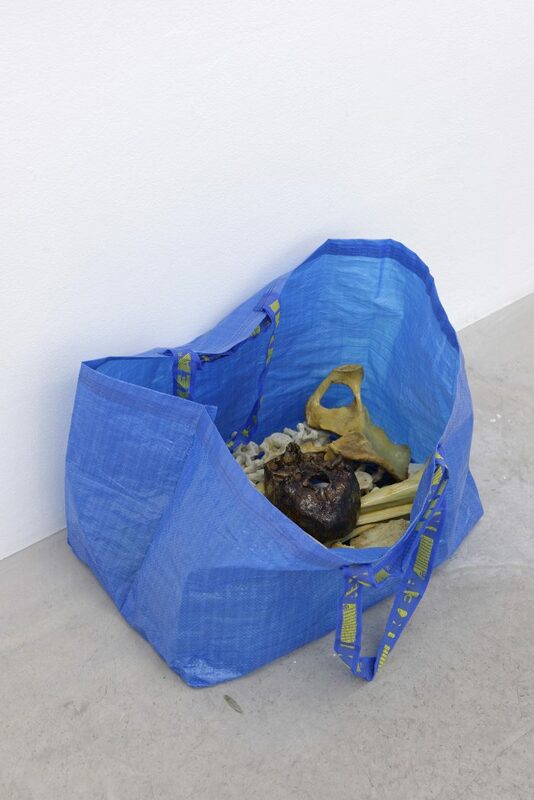 Puppies Puppies considers the resulting work, Human Bones in Ikea Bag (blue) (yellow) (green), 2016, to be a collaboration with Rivrain, whose work often focuses on representing aspects of the human form.